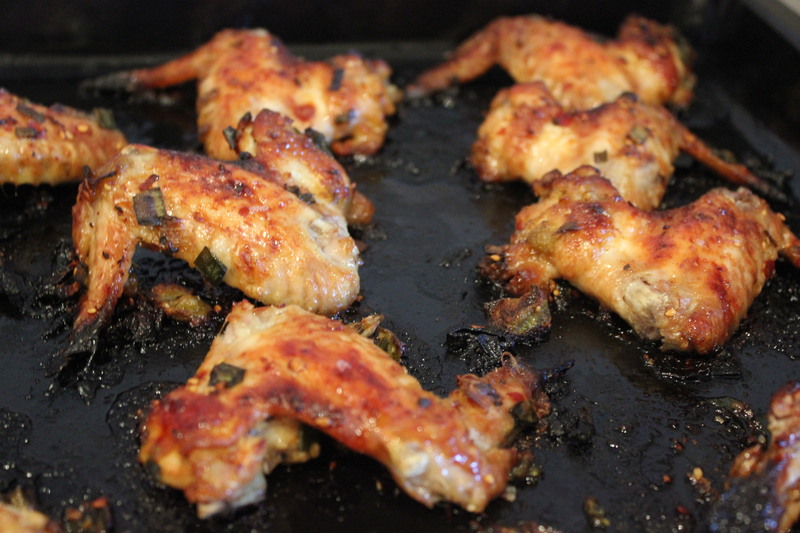 For today’s post, I decided to play around with Korean BBQ wings. 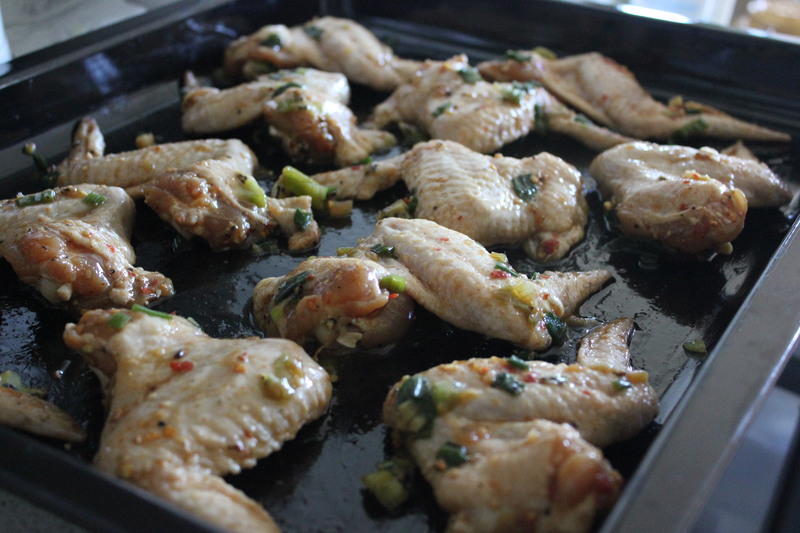 Now I’ve never attempted any Asian recipes before, nor have I ever tried to make chicken wings. Lucky for me, Google is my friend. A quick search and I discovered Irvin Lin’s Eat the Love blog. His recipe for Korean BBQ wings looked straightforward enough, so I thought I’d take a crack at it. Supper easy to follow and really tasty. Now I wouldn’t be me if I didn’t try to switch things up a bit. I’m Nigerian. I like chicken. I like barbeque. When I think of chicken and barbeque, I think of suya. Bam! 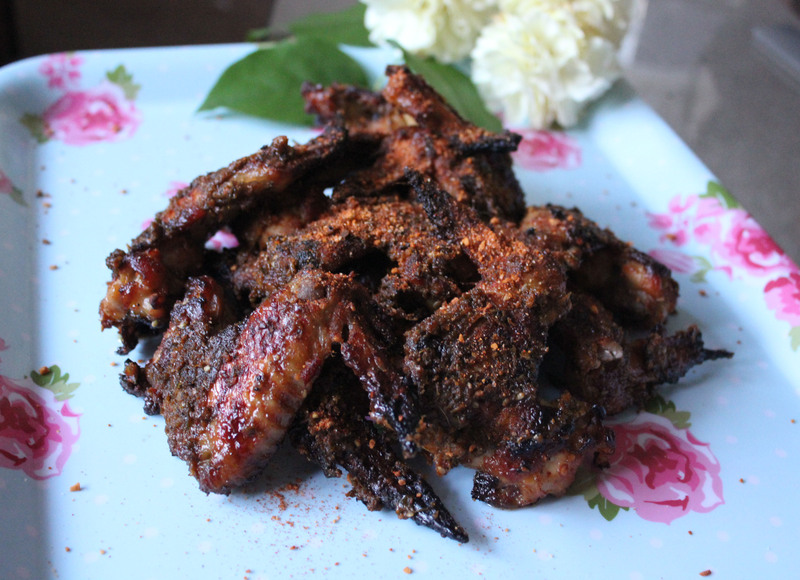 Using Irvin’s recipe, I prepared Korean style BBQ wings with a spicy suya pepper rub. I mean, just the smell in my kitchen alone, I actually contemplated bottling the scent to spray only when I have guests over. Don’t judge. 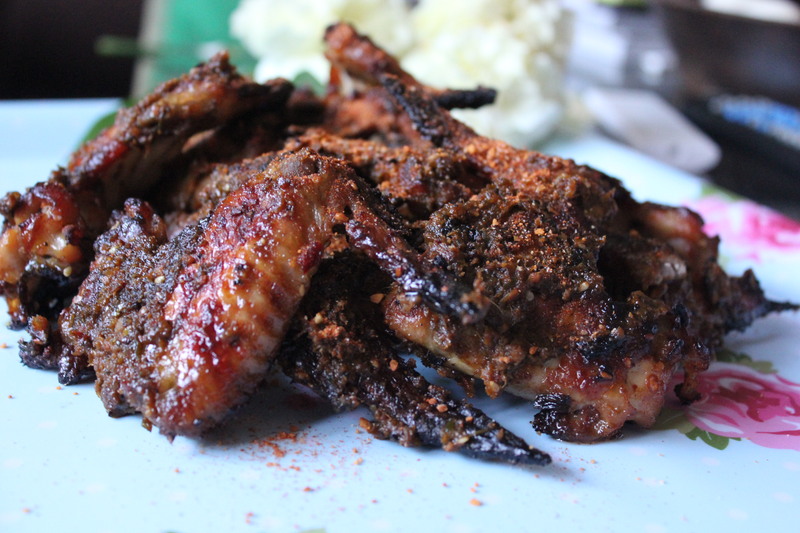 Try out Irvin’s recipe on his blog, making the below changes for the suya rub. **NB: check that your spices for the suya pepper have not lost their potency with a quick whiff and taste. Stale spices = stale suya = ew. In a bowl combine ground peanuts, cayenne pepper, salt (if using), paprika, ginger, onion and garlic powders to make suya pepper. Mix 2-3 tablespoons of suya pepper with reserved marinade (the more suya pepper you mix, the spicier the rub). 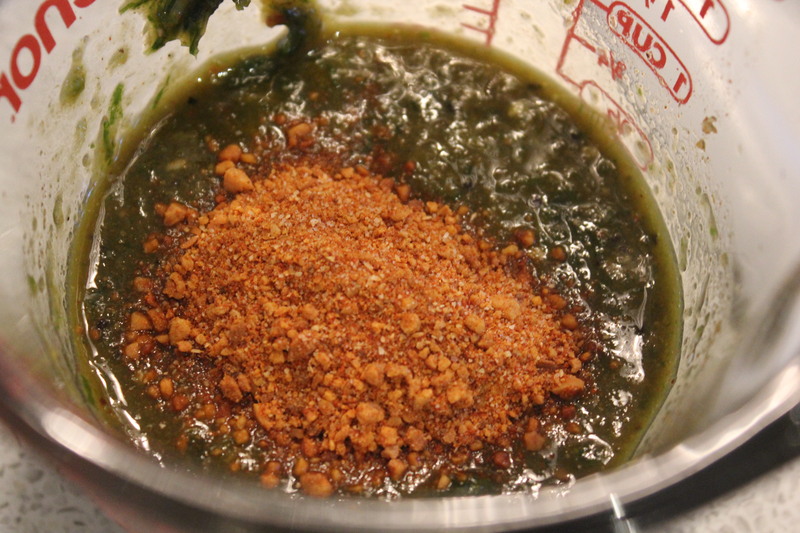 Puree the rub mix in a food processer until smooth. Put a small portion of oil in a saucepan (just enough to lightly coat) and place over medium heat. 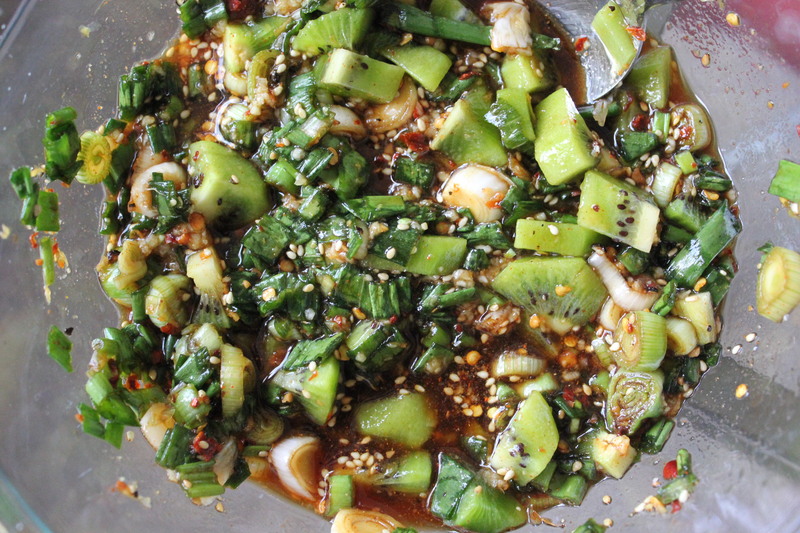 Add marinade and cook for about 2-3 minutes, stirring to prevent from burning. The marinade will darkened and thicken. Check seasoning and add more suya pepper if needed. 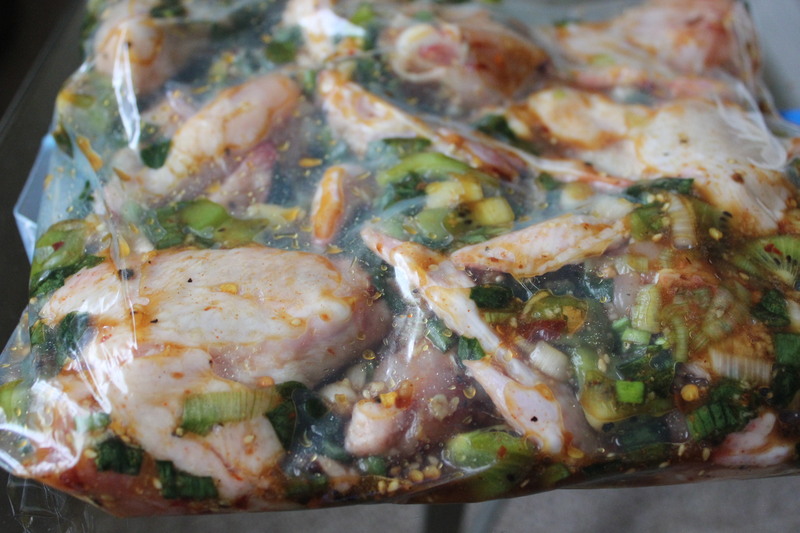 Using a pasty/basting brush (ideally), spread rub over cooked BBQ chicken.